Need to Kill an Evil Wizard? Send a Warrior Girl! From the Plains of Temptation to the Pit of Fears, from the Enchanted Forest to the Straits of Devils, Megani must use her cunning to battle the most vicious of Wizards. Along the way she encounters noble Dwarf and Elf warriors, along with a large assortment of beasts—from Gorgons to Devil Rays—that seek to kill her as she struggles to save the world! Will Megani be able to retrieve the ancient Sword of Anton and defeat the black-hearted Wizard? Or will the demon destroy her and enslave the world she loves? Some say that she doesn’t have the strength to succeed, for after all, she’s just a girl. 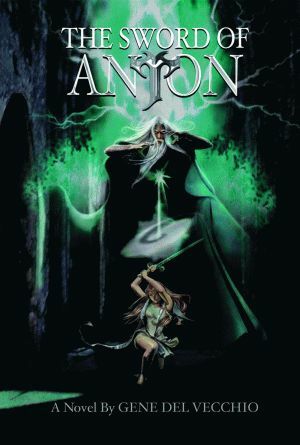 Gene Del Vecchio’s inspiration for Megani, the heroine of The Sword of Anton, is his teenage daughter Megan and her formidable spirit, intelligence, and headstrong determination. Gene Del Vecchio is the author of Atticus Award-winning Creating Ever-Cool: A Marketer’s Guide to a Kid’s Heart and The Blockbuster Toy! How to Invent the Next BIG Thing, both published by Pelican. He is also the founder of CoolWorks, a marketing/consulting company. His first young-adult novel, The Pearl of Anton, received a starred review from Booklist for its rich details and suspense.